We are extremely lucky to have engaged 6 SFN Champions who will focus in on the intersecting topics of the SFN - to reach out to those of you in their area - and to interface their areas with the other Champions to ensure a lively cross-fertilisation of ideas. Have a look at our blog post from 16/10/2017 to find out more about these intersecting topics and how our Champions are working within and across them. 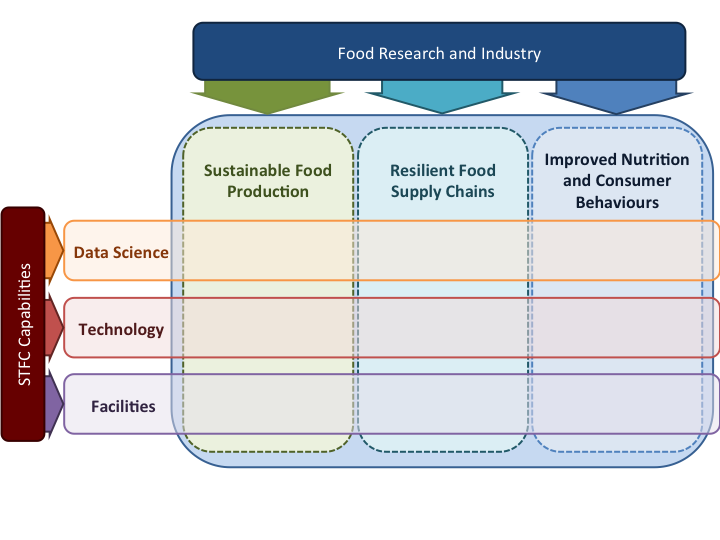 In addition to our Champions we have also appointed 4 liaison positions to help recognise and facilitate the work of connecting the many interesting agrifood challenges to some of the STFC Facilities, and to increase our engagement with the food manufacturing sector. We now have dedicated mailing lists for each area and have added people to these based on the boxes they ticked in the survey and/or launch meeting session selection. If you'd like to receive regular updates on any of these areas please contact Alison to be added to the relevant mailing list(s). Dr. Sonal Choudhary is a Lecturer in Sustainable Management at Sheffield University Management School (SUMS). She is also a member of Logistics and Supply Chain Management (LSCM) Research Centre and Centre for Environment Energy and Sustainability (CEES). 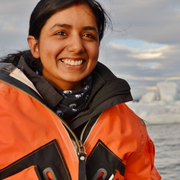 Prior to joining SUMS, Sonal worked as a Marie Curie Research Fellow in the field of environmental sustainability (Project Sunshine and N-SINK) at the University of Sheffield. She has also worked on a number of other projects funded by DEFRA, European Commission (FP-7), Ministry of Environment and Forest, India, and IPCC. She has published about 25 papers in leading international journals, peer-reviewed conferences and national newspapers. She has also received two best paper awards in international conferences. She acts as a reviewer to many international journals in the area of sustainability, climate change, ecology, environmental economics, operations and supply chain management. She has chaired various international environmental and sustainability conferences. Sonal has been recipient of many prestigious academic awards and scholarships including All-India postgraduate scholarship, DfID Commonwealth Scholarship, and Marie Curie Fellowship. She has also received a “Gold medal” in Environmental Sciences for holding the first rank in her University during her postgraduate study in India. Sonal is the SFN Champion for Resilient Food Supply Chains and is also our lead for Impact and Industry across the Network. Sarah is the SFN Champion for STFC Facilities. Christian Reynolds is a Knowledge Exchange Research Fellow (N8 AgriFood project) at the Department of Geography, University of Sheffield. Christian’s research examines the economic and environmental impacts of food consumption; with focus upon food waste, sustainable diets, and the political power of food in international relations. In 2017/18 Christian is on secondment at WRAP with a focus on healthy sustainable eating and food waste. Christian is the SFN Champion for Improved Nutrition and Consumer Behaviours​. Professor Simon Pearson is Director of the Lincoln Institute of Agri-Food Technology. The Institute sits within the College of Science of the University of Lincoln and helps develop and run cross disciplinary research projects on behalf of the agri food sector. This includes a large focus on the use and deployment of agri robotic systems, including robotic crop harvesting systems, use of autonomous vehicles in agriculture, the application of actuators within agri- robotic systems. Prior to joining Lincoln, he was the CEO of a large UK farming company, worked for Marks and Spencer plc in a technical role and as a scientist at the University of Reading. ​Simon is the SFN Champion for Sustainable Food Production. Seb is the SFN Champion for STFC Data Science. Stephen Serjeant is Professor of Astronomy at the Open University. His research specialisms include star-forming galaxies, strong gravitational lensing and infrared astronomy. The Open University has a strong space instrumentation group to complement its astronomy, planetary sciences and physics, and many OU space instrumentation projects have found applications outside astronomy, such as submarine air quality monitoring, cancer detection, tuberculosis detection, and much else. In the STFC Food Network+ he is hoping to facilitate finding new applications of STFC technology for the food industry, including those that may address the UN Sustainable Development Goals. Prof. Serjeant has written or co-written over 300 papers with over 10,000 citations and four books, and has also been a science consultant for several BBC television series, such as Light And Dark, Begininng and End, Bang Goes The Theory. His first degree was from Bristol and his doctorate from Oxford, and he has worked at Imperial College and the University of Kent. Prof. Serjeant writes: "I'm also a Fellow of the Institute of Physics, a Fellow of the Higher Education Academy, a Fellow of the Royal Astronomical Society and a Chartered Physicist, meaning that I have three F-words and one C-word after my name, all well deserved. I wrote a paper with George Djorgovski, who wrote a paper with Jogesh Babu, who wrote a paper with Paul Erdös, giving me an Erdös number of no more than three. This is five less than Erwin Schrödinger. There's a lesson in there somewhere but for some reason I don't feel it's in my best interests to point it out." ​Stephen is the ​SFN Champion for STFC Technology. ​​Claire Pizzey is Deputy Head of Industrial Liaison at the Diamond Light Source, supporting companies across a wide range of sectors to access the facilities and expertise at Diamond. She works closely with the other members of Industrial Liaison team to provide a multi-disciplinary approach to solving complex real-world problems. A physical chemist by training, Claire was previously a post-doctoral research associate at the University of Wisconsin-Madison, USA in the Department of Chemical and Biological Engineering. Prior to joining the Industrial Liaison Group in 2010, she was a staff scientist for the SAXS beamline I22. Her work with clients often focuses on microstructure and self-assembly in solutions, gels and soft solids, typically addressing formulation issues across pharma, food, consumer products, oil and gas and energy sectors. Rakesh is a Lecturer in Operations and Supply Chain Management at Hull University Business School (HUBS). He is a Certified Lean Six Sigma Black Belt from KPMG with over 15 years of hybrid experience in management consulting and process management. He is also a Certified Project Management Professional (PMP) from the Project Management Institute, Certified PRINCE 2 Practitioner, Certified ScrumMaster (agile coach) and ITIL professional. Prior to joining HUBS, Rakesh was associated with many leading global corporations such as Accenture, Moody’s, Thomson Reuters, Lloyds Banking Group where he delivered several large scale global programs within technology transformation, process improvement, business process reengineering, quality function deployment (QFD) and change management domains. Within a short stint in academics, he has published 6 papers related to sustainability, food consumption and operational excellence in high ranking international journals and conferences. He also serves as a reviewer to many international journals. With a strong experience in manufacturing operations and wide industry network, he aims to build synergies by providing “Food-for-Thought” for future cross-industry collaborations within the STFC Food Network+.